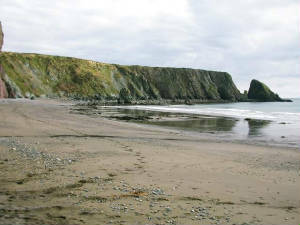 Sites or sub-sites counted as part of I-WeBS in Co Waterford are listed below. These are counted as often as possible, ideally monthly, during the September-March each year, although 2-4 months coverage per winter is more frequent. (Some sites, especially on open coasts, have been counted only infrequently.) 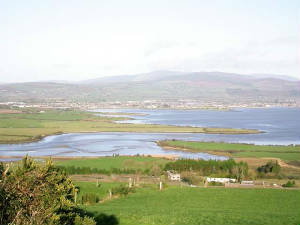 Sites along the River Blackwater and Blackwater Estuary, on the border with Cork, are organized and counted as part of Cork coverage for I-WeBS. 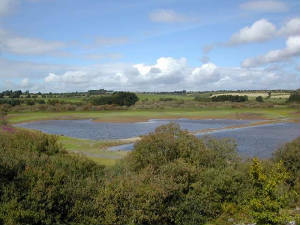 Where grid references and Site and Sub-site Codes are shown, these have been allocated by the national I-WeBS organizers, BirdWatch Ireland; but note that "official" codes were not available for sites along the Blackwater at time of compiling this page. Site-boundaries are documented on maps held by national and local organizers. 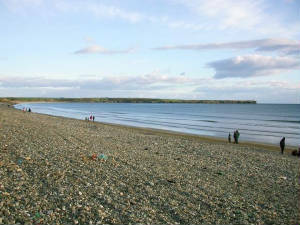 The largest and most important sites, Dungarvan Harbour and Tramore Backstrand, are counted by small teams of observers, and additional help with these or other sites is always welcome. Anyone who would like to help with counts should get in touch with the current I-WeBS organizer for Waterford: email. Last updated 2 March 2005. Photos © P.M. Walsh unless otherwise noted.